Fort Massacre is one of the many smaller westerns from the 1950s that features an excellent script, solid performances, and beautiful cinematography. The film was released by United Artists and was directed by Joseph M. Newman, the same guy who made the underrated sci-fi classic This Island Earth. The story follows the U.S. Cavalry's C Troop as they navigate Apache country after an ambush that left a number of their men either dead or injured. They're trying to get to their outpost 100 miles away while under constant fire from hostile natives. 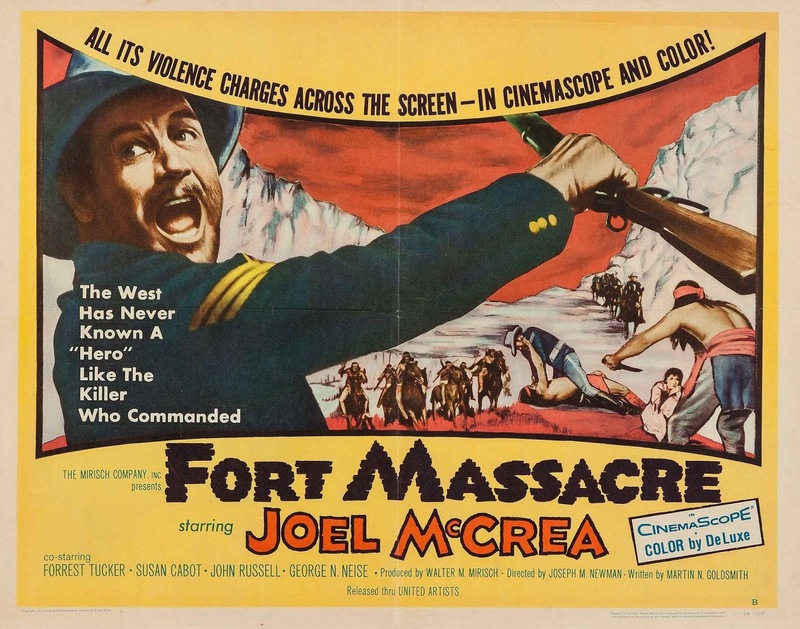 It's the same plot that could have been (and was) used for a ton of war movies, but the draw of Fort Massacre isn't the story; the real beauty is watching these characters as they deal with what appears to be a no-win situation.